The Moon moves into Cancer today, and stays there until Wednesday. 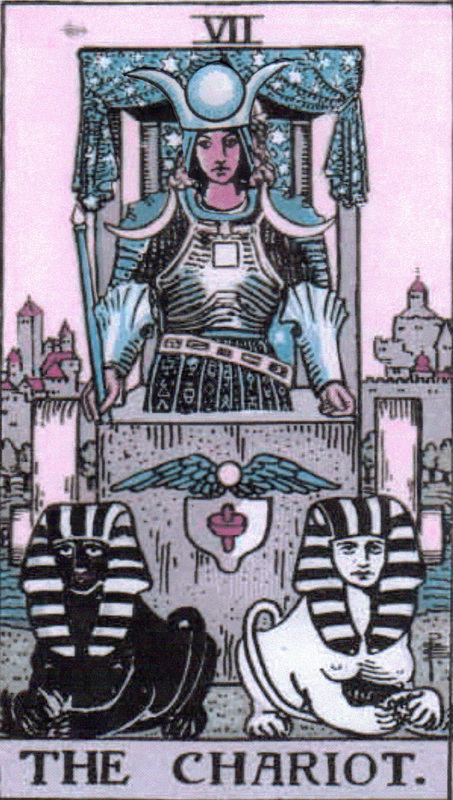 Looking at this transit through the lens of the Tarot, you might describe it as the High Priestess dressed in the clothing of the Charioteer. She’s left the safety of her pillars and veil, and has hit the road. The Moon in Cancer, or the High Priestess dressed as the Charioteer, can be a powerful time of comfortable change and emotional resilience. Knowledge gathered in silence has coalesced and it’s time to share without fear of being hurt. Emotional loyalty, intuitive direction and strength of character can give you the resolve to go forward. Even into the unknown. Try not to coddle yourself. You can only win if you have the courage to play to the end. 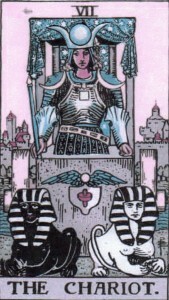 You are currently reading Moon in Cancer – High Priestess Dressed as the Charioteer at The Tarot Room.